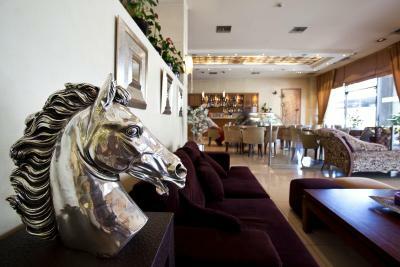 Lock in a great price for Crystal City Hotel – rated 8 by recent guests! Its nice small hotel, everything you need you have. Entrance is beautiful and sparkly. Staff is polite. Room has mini fridge if you need and coffee tea making facility. Bed is comfy. Breakfast is super good. 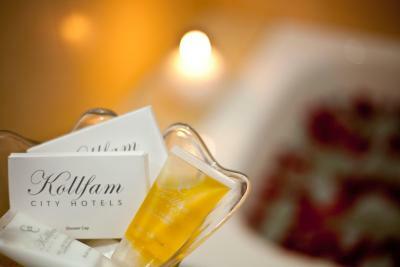 The staff were very kind and helpful, from before check-in through to the stay. The location close to metro was perfect to explore Athens. The greek breakfast in the morning was amazing. Wifi was smooth too. Decent hotel next to the metro station. Very positive experience. Staff was friendly and spoke English every well. It close to the Acropolis, but the main reason we chose this place was for the secure underground parking as we brought our motorbike from Canada. For 5 euro a day you can go in and out just tell the guard. Crystal City Hotel This rating is a reflection of how the property compares to the industry standard when it comes to price, facilities and services available. It's based on a self-evaluation by the property. Use this rating to help choose your stay! 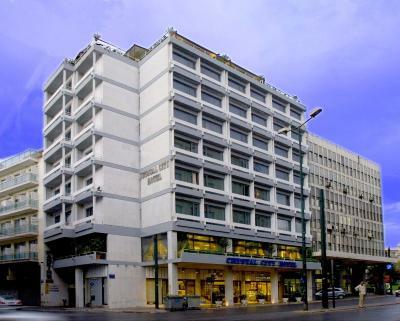 One of our top picks in Athens.Crystal City Hotel enjoys a central location in Athens, just 350 feet from Metaxourgeio Metro Station. 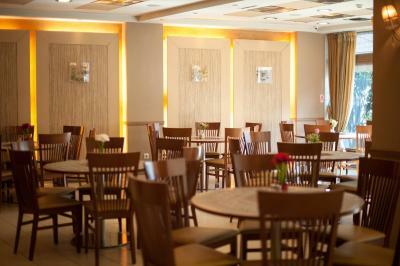 It provides free Wi-Fi in public areas and a rooftop restaurant with panoramic city views. The air-conditioned guest rooms at Crystal City have a TV with satellite and cable channels, refrigerator and in-room safe. Each private bathroom is stocked with a hairdryer. Some rooms have balconies with views of the Acropolis. 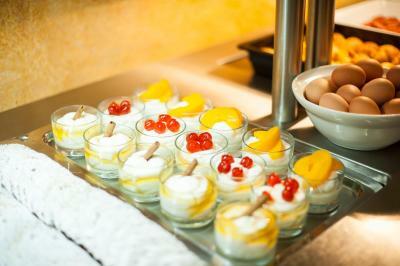 A continental breakfast buffet and a Greek breakfast are served each morning. 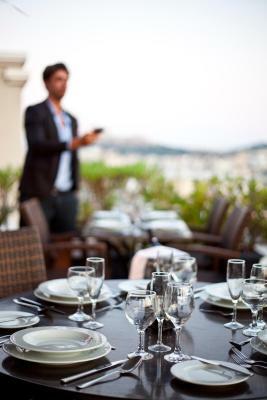 Athina Restaurant & Lounge serves Greek dishes for lunch and dinner with great views of the Acropolis and the Lycabettus Hill. 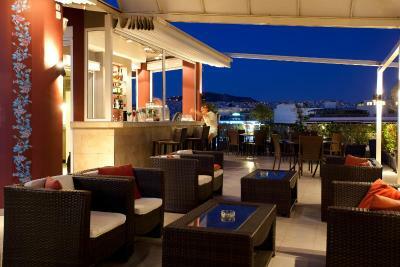 The rooftop bar has freshly prepared Greek specialties, as well as pastries. Plaka is just over half a mile away, and the Acropolis and the National Archaeological Museum are just over 1 miles from the Crystal City. Museums, bars and restaurants are all within walking distance. 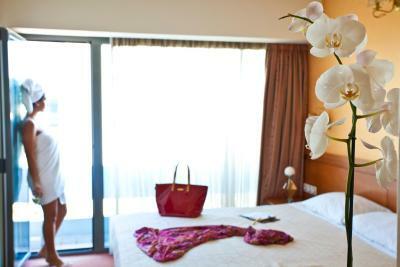 When would you like to stay at Crystal City Hotel? Air-conditioned room with a satellite TV and safe. Charming room with balcony. It is air-conditioned and has a satellite TV and a safe. 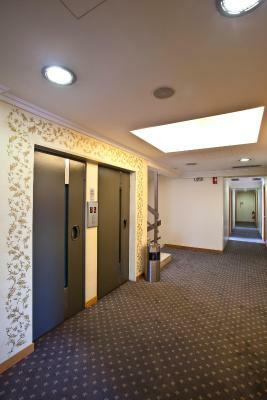 Spacious suites with a separate sitting room, 2 individual bathrooms and balconies. 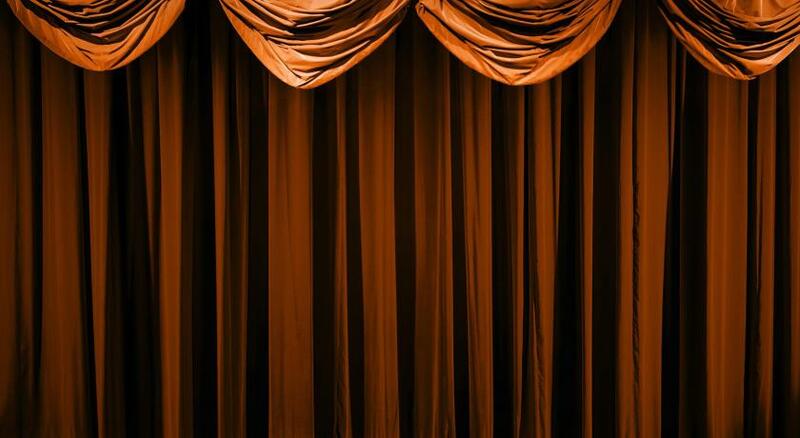 House Rules Crystal City Hotel takes special requests – add in the next step! Crystal City Hotel accepts these cards and reserves the right to temporarily hold an amount prior to arrival. Please inform Crystal City Hotel of your expected arrival time in advance. You can use the Special Requests box when booking, or contact the property directly using the contact details in your confirmation. Shower very dated and water pressure a little variable. Location of hotel was very close to metro stop but definitely not somewhere to walk around at night. Certainly not picturesque or a place to enjoy a drink outside. 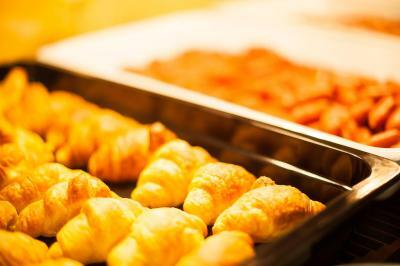 Breakfast was good but limited - fine for a short stay. Buffet was good value and good quality for price. Dessert - go down and just beside hotel to Bread - fantastic patisserie. Rooms clean, adequate size. Aircon did not work to be aware of if travelling in summer. Staff always smily , helpful. Very small room. Many kids that made a lot o noise. The manger did not stop it. I would not recommend to choose this accommodation for a resting vacation. We could not sleep most of the nights. The soundproofing of the door is not existing at all. It is possible to see out through the door structure. First day we changed the room, because the noise of the ventilation system, which made noise from the garden area. Next day a school group arrived, which was not correctly handled by the management. They listened music late at night and had party in the hotel... We had to call the reception more times. 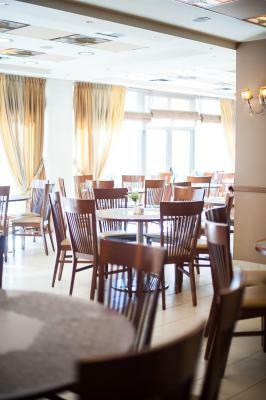 Also the breakfast-room was not cleaned after the group and the food was not prepared for other guest. (Half of the offer was empty) I asked for the manager by the reception, but the did not response for my request. I find this kind of serving not acceptable. We did not make a reservation for a Youth-hotel. Also the location of the hotel is not the safest. The hotel is overall in a good condition. The staff tried to help as much as possible. Great Location, specially if you are a visitor in Athens, and your collogues must pick you up every day by car... Metro station just in the corner, big bakery right next to the hotel. Good location just next to metro station. Rich breakfast with good variety. Friendly staff. Ive booked a room with a double bed for me and my girlfriend for our first holiday together. When we arrived at our room it were 2 separate beds. We went back to the reception and we were told the double bedrooms were fully booked, eventhough we put that specifically in our reservation. At the end we got a small room in the back with a double bed and had to change rooms the next day. A big disappointment was the fact the roof terrace was CLOSED. The weather was very nice around 20 degrees everyday but it was CLOSED. It was one of the biggest reasons I booked at this hotel and told my girlfriend weve got a rooftop terrace. Almost half of the hotel pictures on this website has the rooftop terrace on it. At the reception they told me its only open a certain period of the year....... I had a lot other cheaper options but went for this more expensive hotel because of the rooftop terrace. Now it was closed I would not know why I would pay so much more for this hotel then the other options. Im dissapointed Crystal City Hotel. I hope in the future you will put the openingsdates for the terrace good readable on the city/booking.com and wont give the option for double beds if you dont have it. The walls are very thin, you can literally hear a pin drop in the next room. 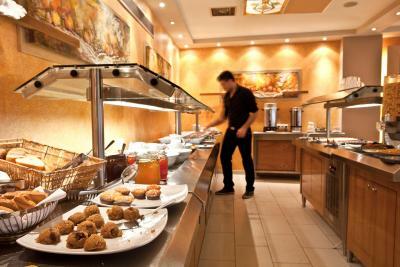 The best part of my stay here has to be the staff and the breakfast.